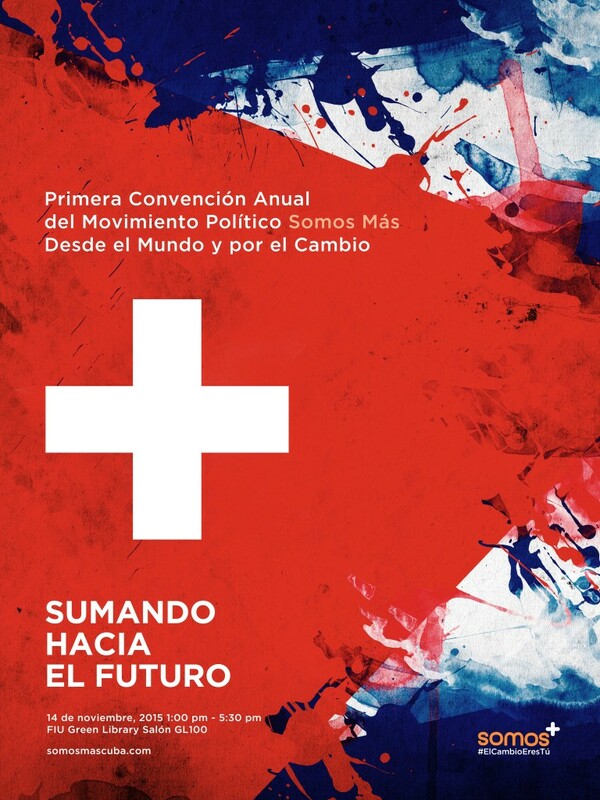 With Cuba and for change, Somos+ invites you to its Annual Convention and congratulates all people from Cuba and the world who participated in the contest for choosing the poster of the event. The quality of the works is impressive and reminds us that we come from a land full of talent, strength and creativity. The selected work was created by Sandor Valdes, and it will preside over the meeting this coming November 14th. We congratulate the author and thank the effort made by all the participants. See you all on November 14th at FIU!